Odors can come from various biological sources—fire and smoke damage, water damage, mold infestation, and sewage can disrupt your life and affect your health. ServiceMaster Restoration by David R. Dean & Associates has the products, systems and equipment needed to find the root of the problem and eliminate the odors. Our experts will provide step-by-step explanations throughout the process and work closely with you to develop the best solution. 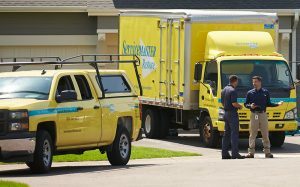 For expert odor elimination services, contact ServiceMaster Restoration by David R. Dean & Associates.